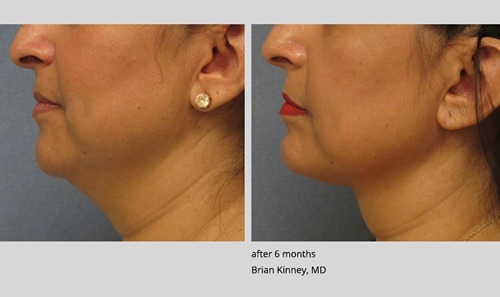 The ThermiTight skin tightening system is a non-surgical procedure that uses radiofrequency technology to tighten the skin tissue in order to improve skin laxity. ThermiTight is especially useful for improving the submental (chin, jawline, neck) area, which is one of the first indicators of aging. The ThermiTight skin tightening system works by delivering controlled radio frequency waves that directly heat the sub-dermal skin. These controlled radio frequency waves in turn promote new collagen growth in order to help improve the skin laxity. The ThermiTight skin tightening system provides noticeable improvement immediately, with additional improvements seen after 6-12 weeks. Maximum results are seen after 6-12 weeks as collagen production is increased and skin elasticity is improved. These results can last several years. 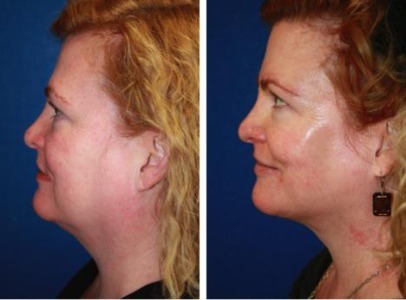 ​This non-surgical procedure is comfortable and requires virtually no recovery time. Patients may experience slight swelling and redness and are usually able to return to normal activity within 24 hours. ​Please call (352) 399-7295 for more information or to schedule a free consultation. You may also complete the online form below and we will contact you shortly. Thank you.